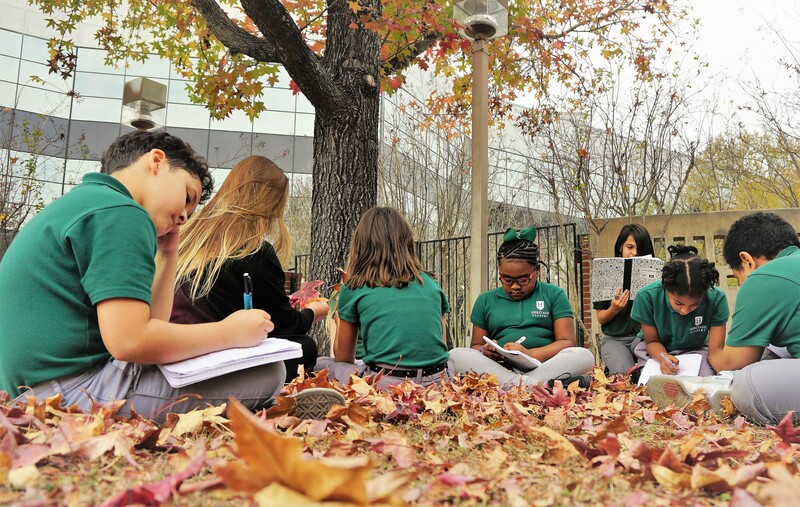 Heritage Academy charter schools are established, tuition-free public schools of choice. Our campuses are highly regarded in the communities we serve, and are proud to offer an enhanced educational opportunity to all children. Our comprehensive core curriculum, which underscores the cultivation of virtuous character and civic responsibility, is presented in a manner as to encourage each child’s motivation to explore, discover, and learn. Heritage Academy is committed to academic excellence in providing educational opportunities for children at our campuses located in the beautiful cities of San Antonio and Del Rio, Texas. While our school located in suburban San Antonio serves students in grade levels Pre-Kindergarten (4yrs. old) to Eight, our campus in Del Rio offers a prestigious college preparatory program for pupils in grade levels Six to Twelve. We welcome all children and parents to a premier educational opportunity where through a school culture and atmosphere that reflects honor, kindness, and scholarship, we intend to afford every student the self-determination to engage in an abundance of academic and social experiences that expand the universe and the world around them.